Dutch TV Show “Puur Geluk” helps to achieve dreams of people that can use a little help. 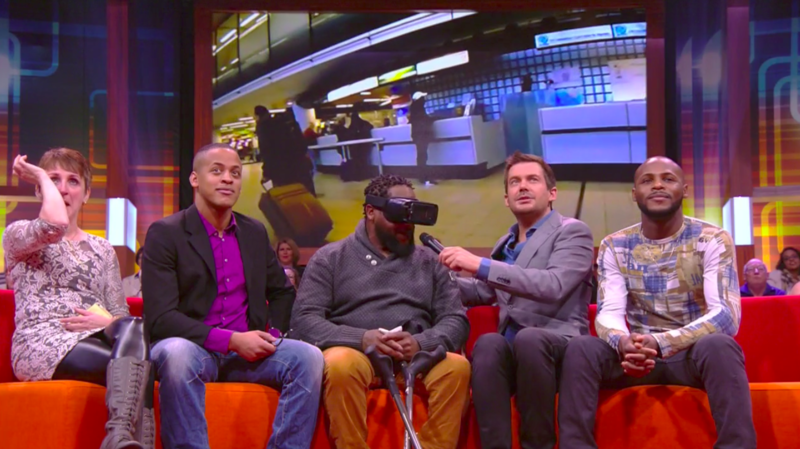 Two people in the audience were shown a VR film during one of the live shows right before Christmas. One of them was for a Anna from Brazil, living in the Netherlands, who hadn’t seen her brother and sisters for over 10 years! While the VR scenes played, her siblings came out in real life to surprise her. The other surprise was for Wesley and his father, who had a lifelong wish to travel back to their roots in Curaçao.